Carbohydrates are an important dietary nutrient and your key source of caloric energy. 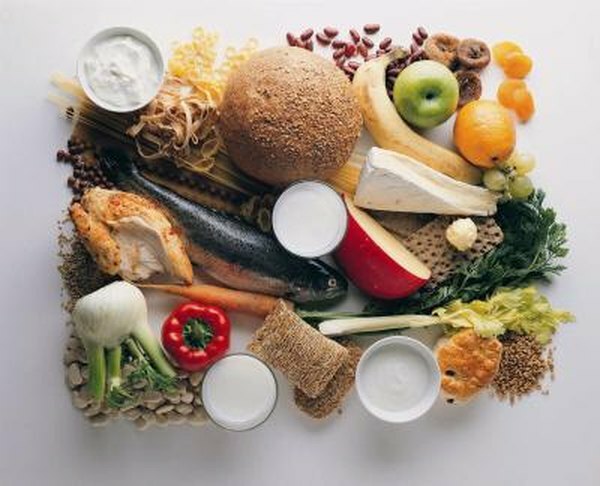 Foods containing carbohydrates provide you with vitamins and minerals. A variety of foods, including fruits, vegetables and whole grains, supply carbohydrates. Within these foods are different types of carbohydrates that absorb gradually or quickly during digestion, depending on the molecular structure. A carbohydrate deficiency can occur when you restrict your diet of carbohydrate-containing foods, thus limiting your primary source of energy from glucose. Carbon, hydrogen and oxygen united with one or many sugar molecules make up a carbohydrate. Generally, a simple sugar carbohydrate is one or two sugar molecules like those found in table sugar or fresh fruit. A complex carbohydrate has three or more sugar chains, such as those found in beans, whole grains and starchy foods. Fiber is also classified as a carbohydrate, but fiber is a portion of a food item that does not break down, like the skin of an apple. Carbohydrates metabolize down into a single glucose molecule, which is released first into your bloodstream then transported to your cells as a source of energy. A diet lacking in carbohydrates causes low glucose levels. Lack of glucose results in hypoglycemia, or abnormally low blood sugar. When your body does not have enough carbohydrates to produce energy from glucose it begins to burn fat for energy instead. Ketones are acids in the blood that form when fat is used as an energy source. Over time, the accumulation of acidic ketones causes you to lose minerals vital to normal health functions like fluid balance, nerve transmission and muscle contraction. Dangerously high levels of ketones in your bloodstream increases the risk of electrolyte imbalance, dehydration, fatigue and digestive disturbance. In diabetics, this deficiency can lead to ketoacidosis, a life-threatening condition. Low-carbohydrate diets are based on restricting your daily carbohydrate intake to induce your body to burn fat for weight loss. You can lose a significant amount of weight on a low-carbohydrate diet when followed faithfully, but you cannot stay on this type of diet for extended periods because you risk carbohydrate deficiency. Symptoms of low carbohydrate intake can include irritable or depressed mood -- because glucose is imperative for the production of mood-sustaining brain chemicals -- lethargy and lack of energy, headache, and constipation from lack of fiber. Diabetics are at risk for deficiency when insulin levels are not properly managed or if the diet doesn't include enough carbohydrate-containing foods. A diet rich in an array of fruits, vegetables and whole grains can prevent you from becoming carbohydrate deficient. Tthe average daily intake of carbohydrates recommended in the 2010 Dietary Guidelines for Americans is 45 to 65 percent of your total daily calorie intake, which equates to 225 to 325 grams per day.